Pine species, such as spruce and pond, are typical components of moist, low-lying areas, while longleaf pine is found on the high tablelands of the island’s Pleistocene cores. Both self-perpetuating and successional pine communities interface with oak maritime forests on St. Catherines Island. 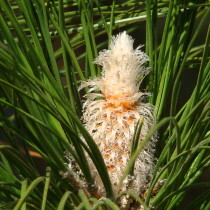 Pine species, such as spruce and pond, are typical components of moist, low-lying areas, while longleaf pine is found on the high tablelands of the island’s Pleistocene cores. Areas of loblolly and slash pine are found where wind, fire, or agriculture opened the oak-dominated forest to sunlight and on more recent Holocene areas. These pockets of successional pine will return to hardwoods over time harboring a few surviving “grandfather pines” to reseed new forest gaps. Unlike short-lived pine habitats, the long-lived longleaf pine system evolved in response to periodic fire (from five to twenty years on barrier islands) and high water tables. The physical characteristics of longleaf pine needles, which measure 10 to 18 inches in length, inspired its common name. 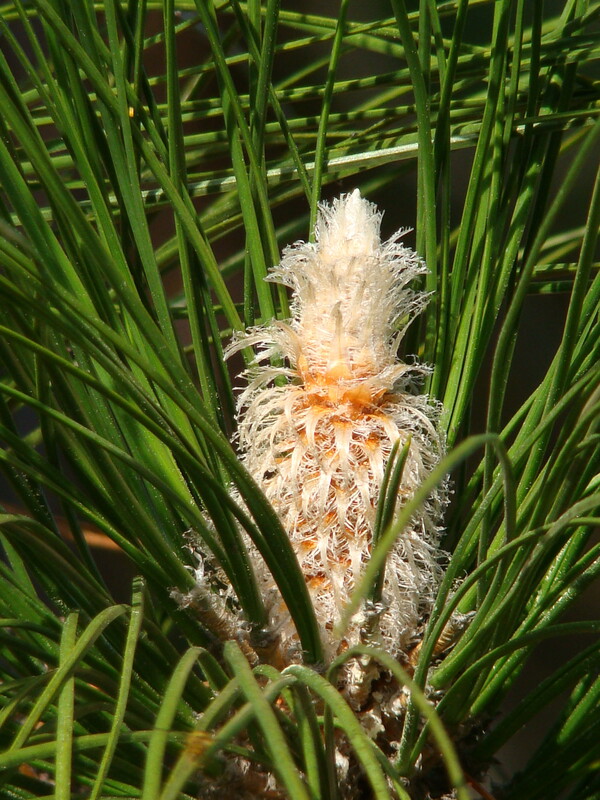 The scientific name, Pinus palustris, seems a bit of a paradox, as palustris is Latin for “wet places” and longleaf pines grow on dry, sandy ridges and tablelands. However, longleaf pines originally grew where the water table is high and they are surrounded by wet savannas and freshwater wetlands during rainy seasons in the Southern Coastal Plain. The Bartram family listed longleaf pine in their 1783 garden catalog.